"The Art of Intelligence" - the new memoir of former U.S. spy Hank Crumpton - lays out not only the sexier side of that life, but also the inherent frustration that often comes with it. Crumpton's was a frustration decades in the making, from his time as a clandestine officer recruiting agents in dark corners of Africa to taking a leading role in the CIA's effort to blaze a pathway to justice in Afghanistan after the attacks of September 11. His tactics and methods earned him a reputation not only in the tribal regions of Afghanistan, but inside the Washington Beltway as well, where he often sparred with policymakers over what he thought he needed to do his job and what they thought he needed to do his job. In 2005 though, he took off the spy hat and tried his hand at joining the diplomats. Former Secretary of State Condoleezza Rice nominated Crumpton to serve as the State Department's coordinator for counterterrorism with the rank of ambassador, and his reputation in the field followed him. Crumpton writes in his book that upon hearing of the nomination, then-President George W. Bush asked, "The throat slitter as a diplomat? Is that working?" It's true that Crumpton had engaged in merciless tactics in Afghanistan, many of which he will not recount as he cites allegiances to the CIA code of not discussing sources or methods. But there is plenty of detail in his book, about the Predator campaign for example, and how it was fueled by a frustration over the gap that existed between the operatives on the ground who had eyes on Osama bin laden back in the late '90s and the decision-makers back in Washington who Crumpton says didn't really understand the threat bin Laden posed. If Crumpton was merciless with his enemies, he is equally so in launching a less-than flattering assessment of policymakers and their lack of understanding of the role intelligence should play in the world in which we find ourselves today: a world where enemies no longer have to be nation states, sometimes they can be a couple of guys with a website using religion as an excuse to spread their hatred. "I think it's an important trend," Crumpton said from New York, where he is launching the sale of his new book, which reached No. 4 on the Amazon best-seller list within hours of being released. "If you look at the role of non-state actors overall both as adversaries as enemies, as allies as potential allies, as citizens, and institutions that we need to protect, I think that they are increasingly a part of the landscape." 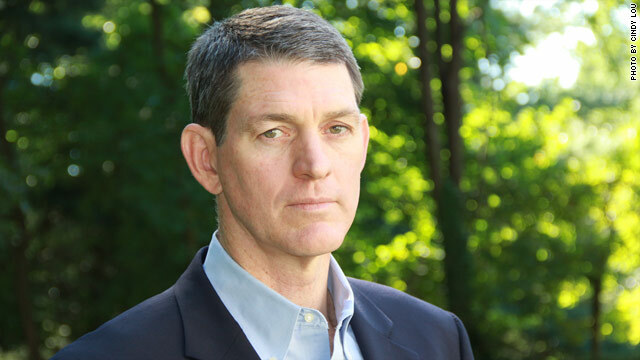 In 2002, after the bulk of the CIA's heavy lifting in Afghanistan had been passed to the U.S. military, Crumpton requested and received an academic sabbatical from the CIA. He signed up for a class at the Paul H. Nitze School of Advanced International Studies at Johns Hopkins. The class titled, "The Art and Tradecraft of Intelligence," was being taught by Jennifer Sims. That was the beginning of long discussions between the two about policy and practice, Hollywood portrayals and public opinion and deep thought on the overarching issue laid out in his book: that all Americans have a basic responsibility to better understand how intelligence fuels policy. Crumpton often reaches back to lessons learned in the past to dictate where we're headed when it comes to the ever-changing intelligence landscape. 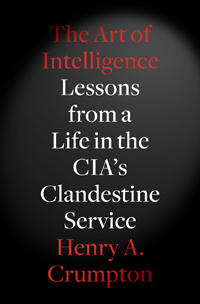 From 2003 to 2005, he oversaw the CIA's clandestine operations inside the United States, run by a little-known and little-talked-about division within the agency called the National Resources Division. Yes, the CIA operates inside the United States. While it cannot spy on U.S. citizens at home, the office works with business and domestic law enforcement agencies. It recruits foreign nationals and gathers information on foreign nationals. It is another sign of the often blurred lines of responsibility between the CIA and the FBI, but one that Crumpton sees as being distinct and critical. "Its increasingly important," he said, "because it illustrates the growing value of the U.S. intelligence community's relationship with the private sector in particular, but also other federal and even state and local law enforcement entities." And the private sector is where Crumpton sees a critical intelligence partnership. "The disruptive technologies and how they're impacting how we spy and how we fight and how we live" is key, he said. "And the private sector is driving that by creating the new technologies, but they are also becoming the targets of our adversarial forces. If you look at terrorist attacks, they're mostly now against private sector targets, so the private sector has got a growing stake in this battle whether they wanted it or not." Crumpton lays out the emergence of four types of technologies that concern him the most: biotechnology, artificial intelligence, the increasing and more sophisticated use of robotics, and nanotechnology. "When I was at National Resources Division, that's what we focused on just because of the disruptive and profound changes that they're bringing," Crumpton said. "And not just those four alone, but when they overlap and converge. I think we're just at the beginning of this transformation." In his book he writes about one specific way that technology is changing the way spies operate. "Right now if you look at nanotechnology and the advancements in electronics, specifically in devices that serve as beacons, the combination of those two sciences now enables a service to basically weave into the fabric of a uniform, a beacon," he said. "So if you're a CIA officer and you go to your tailor and he gives you a suit and you walk out, you could be wearing the beacon of an adversary and not even know it." Crumpton says the private sector is invaluable to the future of espionage for several reasons: They can provide cover, technical assistance, technology itself, and a better understanding of how to use that technology. He has a vested interest in that view, of course. The former spy is now part of the private sector himself. He heads The Crumpton Group, based in Arlington, Virginia, which serves a host of companies, advising them on the risks and opportunities of doing business in emerging markets. And risk is something he knows a thing or two about. Al Qaeda was run by the CIA for many years, and many think they are still run by the CIA. Correction, the CIA worked with the Mujaheddin to repel the Russians. Al Qaeda didn't exist in Afghanistan until the Taliban invited them into the country in the 1990's. Some of the Mujaheddin joined the Taliban, under Mullah Omar. Many others did not, for example Massoud (RIP) and a guy named Karzai. None of this is a secret, you can read about this in any of a dozen books on the war in Afghanistan. Also, nobody has to run an office of the CIA to invent enemies of the United States. Our foriegn policy, culture, economic system, and a thousand other aspects of our existence are enough to outrage large chunks of the world's population. Crumpton worked for Cofer Black. Together, with the support of the Bush Administration, they did some very, very nasty things on behalf of the American people to overthrow the Taliban and kill or capture Al Qaeda terrorists. If you enjoyed the Bush Administration's counter terror policies, thank Cofer Black. If you were happy with the conduct of Blackwater in Iraq, thank Cofer Black and Eric Prince. If you think we should go back to the bad old days of the Bush GWOT, you are going to love Mitt Romney... Because Cofer Black is Romney's senior advisor for international affairs. Another unnecessary useless overpaid bureaucrat that invents enemies to justify draining resources from productive people to fund their own agendas. I wish the media would do their research before writing pieces such as the aforementioned. Mr. Crumpton is not distinguished. In fact, Hank Crumpton contributed to the mistakes made at both the FBI and CIA prior to 9-11. While working in the International Terrorism Section, Crumpton, Michael Rolince and Dale Watson ignored field offices' attempting to open FISA cases against individuals who we now know were 9-11 hijackers. Why? Well, it was a couple of reasons. Judges were reticent to approve any FISA. Therefore, they only approved a few, ones that had a lot of reporting, good background, possibility of prosecution. Now, this in itself wasn't Crumpton's shortfall, but what happens next is. Justice Department lawyers, friends of Crumpton's, Rolince and Watson, get promoted on how many and what kinds of cases they get prosecuted successfully. Catch a terrorist, get a notch, get promoted to Assistant DA or DA. That's how the Justice Department works. So, the FBI would only put cases in front of judges that they thought would yield a quick prosecution. Most of these cases were soft, with subjects who had tangential links to defunct terrorist organizations. Easy prosecution, like getting a gangster for tax evasion. Except, these guys were not terrorists, just low level thugs. In some cases, I know cases presented to judges were "exaggerated" to get them open. Most people refer to these "exaggerations" as lies. Nevertheless, his buddies get a prosecution, he gets kudos and oh, yeah 3,000 people died because they ignored their staff who wanted to open real investigations that could have possibly thwarted 9-11. Did they know it then, no, but if leadership, including Crumpton, weren't so incompetent and old-boy networking, an American tragedy may have been avoided. Not to mention that Crumpton had a way of threatening people. In fact, he believed he could control any one and anything in this town. He often sounded like an old time spook who lost his marbles. Crumpton's psychologically paranoid work style towards his colleagues and subordinates was alarming. Please do your homework and don't drink his cool-aide. Just because he was promoted doesn't mean he is stable, intelligent, competent or a success. I believe in my heart he will answer for all the damage he has done in this community and to people who do not even know his role in the 9-11 debacle. This is for my friend, BJ. You lost your life, buddy, at the Pentagon. You didn't have to; and it kills me every day when I watch the people who purposefully ignored what was right and get accolades and money for their mistakes. You deserve better... and the media should know better. Look harder, you'll see the truth. I have no way of knowing...but that's one hell of a rebuttal. That sounds credible. That's how the whole "justice" system works. They prosecute the easy crimes so they can boost their own egos and careers and they let the serious crimes go. IMHO, all the leadership at the CIA and FBI should have been fired after 9-11, but they just promoted them all and made even bigger bureaucracies, to bankrupt us faster. Excuse me, I know Hank Crumpton and he is one of the most highly intelligent people I know. Both the left and the right failed us. Intelligence is not about worldview, religion, ideology or wishful thinking. It's about understanding the world, its players, and the threats posed to our national interests and citizens. To be useful, intelligence must be timely and factual; exploited by experts in the languages, customs, cultures, and histories of our enemies using every technical and human collection means possible. The Intelligence Community, like the Military, are capable of performing extraordinary feats. The courage, dedication, tenacity and yes, merciless pursuit of our enemies is to be celebrated and admired. Policy makers are another story altogether. The Clinton Administration acknowledges that they barely understood the threat UBL was to America. The Bush Adminstration was equally complacent until 9/11 and thereafter misrepresented intelligence to the world in order to invade Iraq... The net outcome was billions of dollars and thousands of lives wasted on an unnecessary war, that distracted us from FINISHING the job in Afghanistan. At least the Obama Administration appears to have learned something from the past two Administrations and has ruthlessly prosecuted an intelligence war against Al Qaeda, AQAP, Jamaal al Islamiyat, and others. Whether you like or despise the current Administration, you cannot deny that the policies currently in place are making the world a very dangerous place for terrorists. Drone strikes in Pakistan, Afghanistan, Yemen, and the Horn of Africa have killed hundreds of leaders and militants. Special Forces in Southwest Asia, the Middle East, Africa, the Phillipines, Eastern Europe and elsewhere are conducting operations at an unprecented pace. Al Qaeda is close to combat ineffecticve, AQAP just lost a senior leader and several senior operatives, Somali pirate attacks are down by more than 50%. This is what winning looks like in a war against shadows. Hank is a "Throat slitter", a real good one. Americans should be real glad he and the organizations he led, did what they did on our behalf. The war isn't over by a long shot. The bad guys are down, but not out. A change of Administrations could happen, but for our own sake, we should hope that the policy and practice of our war on terror should never become ideological again. It didn't work for Clinton or Bush. YA, they had bin laden in view and it took Bill Clinton days to give the ok for a few tomhawks to be deployed at witch time the camp was empty. Yeah, blame Clinton, but not Bush. Real genius (cough). Blame the left. They wallow in their fantasy worldview, and want no facts to disturb it. The UN Special Commission on Iraq was established post Gulf War to inspect weapons facilities. Saddam Hussein threw them out in 1998, Clinton launched some cruise missiles, but we never re established a ground presence. Assessment on the best information available led all nations, and American democrats to the conclusion Hussein was still developing WMD, but amazingly it is Bush who is held responsible for the inadequacy of intelligence: “Bush lied, people died.” Then Clinton implemented the “Human Rights Scrub” policy, where no US funds could be used on sources who weren’t sufficiently virtuous. Alas, who has knowledge of conspiracies? Clinton decimated collection. The Afghanistan counterinsurgency is taking so long because the US had no human network in place. Ten years later, when we find them, we can drone strike them. The CIA has accomplished that painfully, for which Obama takes credit. And for SEAL accomplishments. The world is extraordinary unstable and dangerous at this moment, yet Obama is gutting defense while expanding all other aspects of government. He is now sowing the seeds of a future bitter harvest. Blame the left?! Seriously? Blame the American people for having double standards. Everyone loves a good victory, but are shocked and stunned when someone dies, no matter their level of guilt. War is ugly, especially when innocent people are being killed, but if you want the job done, some of these ugly things need to happen. Americans need to understand what is at stake and not be hypocritical of the men and women trying to protect us. Don't blame the left for the failure in Afghanistan. The real reason that we are still failing in Afghanistan was the decision to invade Iraq and divert 75% of our resources from Afghanistan. If we had stayed the course, I suspect that this situation would be well on its way to being completed. We had the Taliban on their heels, and needed to deal a death blow. Instead, we raced off to stop Saddam Hussein from "another 9/11" and destroy his WMD's. The Bush administration distorted the truth and ignored the rest of the world by making the decision to invade Iraq. If we had kept the "throat-slitters and snake-eaters" in Afghanistan, it is possible the Taliban would be a memory right now. Stop politicizing everything and turning us against each other, we need to be strong and united, and resolute in our destruction of terrorists plotting future atrocities. This is coming from a former "snake-eater" who served in more conflicts than I would care to remember. Don't blame Obama for having the guts to let the military do it's job. Stand up and be counted as someone who does not wish to see anymore innocent people die at the hands of terrorists. "the CIA code of not discussing sources or methods"
"taking a leading role in the CIA's effort to blaze a pathway to justice in Afghanistan after the attacks of September 11"
Would you be "merciless" with whomever you found at the end of this Yellow Brick Road, Mr. Crumpton? I would be and have been merciless when dealing with terrorists. Let these people do their job! Its easy to say you can be merciless with terrorists, thats not the problem. The problem is when you dont know that a 14 yr old girl or boy or a forty year old father of two along with his elder son (23yrs ) is a terrorist or not ? The good guys will say no, will ask superiors for more time or say they are not sure and take more time to investigate them and probably get fired from the job and get labeled in the media as unpatriotic, incompetent. The weak will kill them and label them as terrorists , get "confirm kills" be heralded as heroes, have interviews and news articles and have the brain dead public applaud them for their courage. The courage and bravery to kill innocents. Not every military operation is like this but a lot of times many people in the war machine face this dilemma. We are not in WW2 where combatants were clearly visible and men had to overcome great odds and bravery to kill enemies , in today's war killing is as easy as pushing a button but disagreeing to commit an unlawful or moral less order and know you will be reprimanded, takes real bravery. What you describe is known as "the fog of war". No one has perfect clarity, perfect intel, perfect analysis all the time. Which is why both troops and the intelligence officers have rules of engagement. We don't always like them, because they make the job a lot harder. I did not like having lawyers looking over my shoulder, and I am sure that they cost unnecessary lives to be lost because it was impossible to appease them and kill the target at the same time, but I am, in retrospect, appreciative of the process. Fewer mistakes get made.